Earlier this year I won a competition over on the lovely Georgina's blog She Might be Loved. Georgina had unfortunately had an accident with a pair of eyelash curlers that had cut off some of her eyelashes. 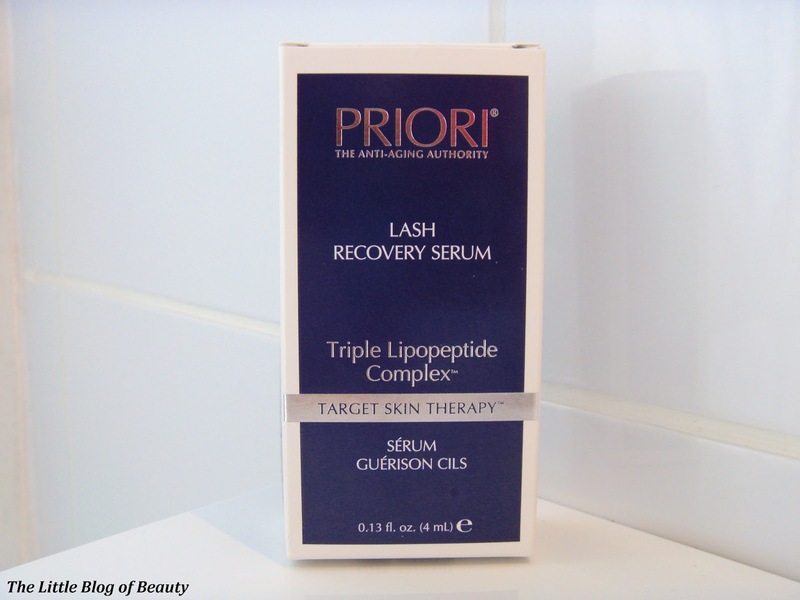 She was sent a Priori Lash recovery serum to try and help her eyelashes recover and was also given two to give away to her readers, and I won one of them. 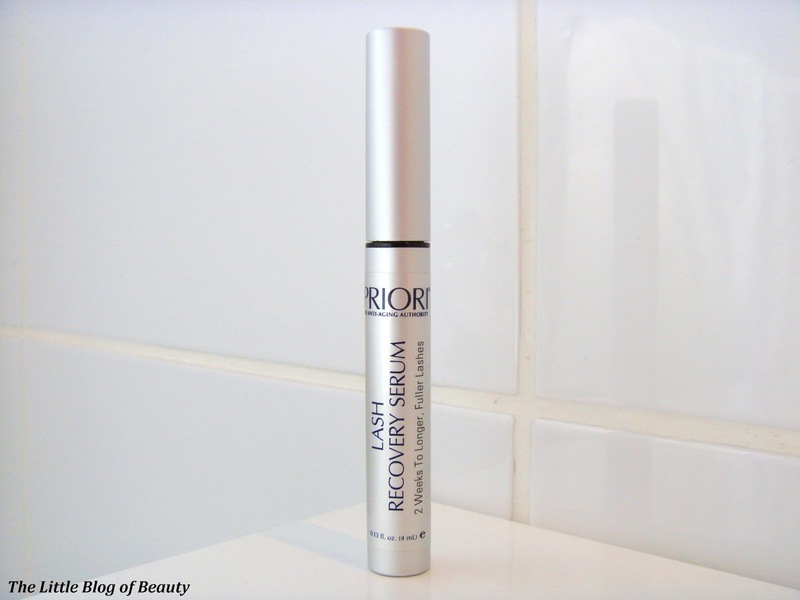 If you'd like to read Georgina's review of the recovery serum you can find it here. The eye picture is actually kind of creepy isn't it, sorry about that! My lashes are quite badly behaved, particularly the top ones. The ones on the outer corner of my eye hang downwards, I have random single lashes that grow above the lash line that get in the way of applying eye liner and I also have single lashes that occasionally turn completely white but don't fall out so I have to pull them out. My lower lashes are not too bad, but on my left eye I have a little bald area where I appear to only really have one lonely hair. It's a bit strange that it's also my left eyebrow that went bald at the end years ago. Although I did go a little tweezer happy as a teenager I didn't pluck the hairs away at the end, they just appeared to fall out. 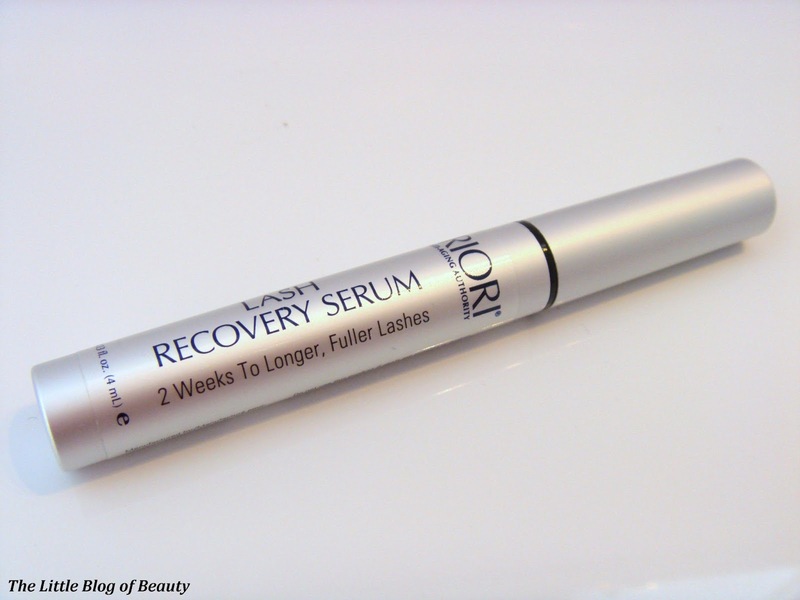 The Recovery lash serum is a eyelash and eyebrow enhancer that apparently utilizes a unique complex of three lipopeptides. I'm not entirely sure what that means, but this is described as a technological breakthrough that helps make lashes and brows look fuller, thicker and more voluptuous. This should be used once daily before going to bed on clean makeup free skin. One stroke of the brush should be applied to the base of lashes from the inner to the outer corner. It only specifies to use this on the upper lashes but I used it on both hoping it might fill in my little bald spot. The same procedure should also be used for brows covering the whole brow area. I've been using this for around five weeks now and to begin with I didn't experience any kind of discomfort while using it. I have actually stopped using this now as more recently it has started to sting just slightly, but I think this is because my eyes have been affected by the increase in pollen and they have been quite sore and itchy anyway. With my eyebrows I don't think I have seen any difference, which is a bit of a shame as I'm trying to grow my brows out and one is thinner and shorter than the other. I'm aware I may need to keep applying the serum for longer to see any effect as something like this can take a couple of months. With regard to my eyelashes, although I don't now have the lashes I've been dreaming of, I have seen a slight improvement. I've noticed that my outer lashes don't seem to hang down quite as much as they used to. 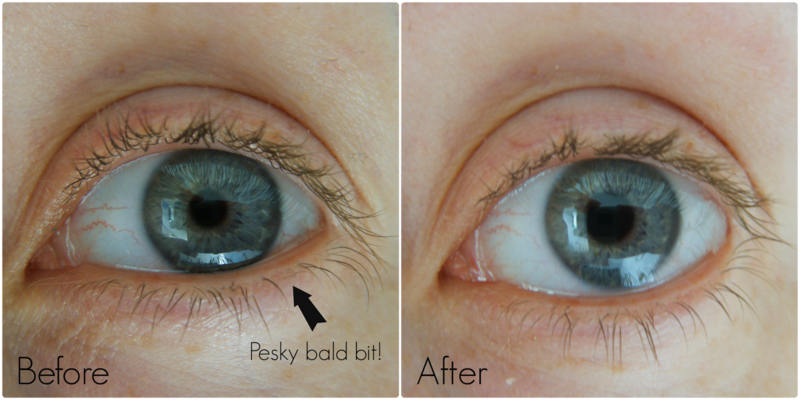 I think you can definitely see a difference in the before and after pictures, although in the after picture my top and bottom lashes have caught on each other, which they do quite often. I guess my lashes may now be a little stronger so can hold themselves up better. I'm also pleased to see that the bald patch on my lower lash line on my left eye appears to have closed up. I'm not sure it's now completely filled in but there are definitely a few new hairs there that weren't there before. This isn't very clear in the before and after pictures but when I look in the mirror it doesn't really look like there's a gap anymore. So although I haven't seen a drastic improvement I'm quite pleased with the improvement I have seen. At around £60 I don't think this is something I would currently buy myself, but at the moment I don't have that sort of money to spare. If I had the money to buy something like this then I would at least consider it, but I do think it's quite expensive. 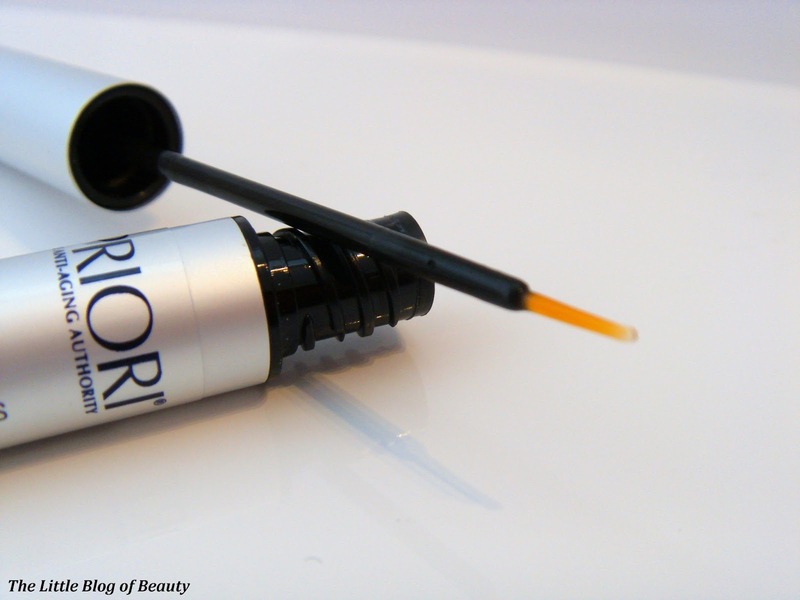 Have you ever tried a lash serum or would you give one a try? I've been meaning to try this out, my lashes are seriously sparse. Shame it didn't seem great to you. Maybe if I feel like splashing out some time I'll give it a go!